Join the ranks of millions of Cub Scouts who have stood in the derby winner's circle. Cub Scouts just like you have been building their own cars and competing in Pinewood Derby® events since 1953! At the heart of this event's success is the process itself - bonds are strengthened as the Cub Scout partners with a parent or adult mentor to design, carve, paint, weigh, refine, and race the car. In addition, Cub Scouts build confidence and take pride in their own growing skills and hard work. So enjoy the ride! While the exhilaration of the actual race lasts only moments, the Pinewood Derby® experience lasts a lifetime. 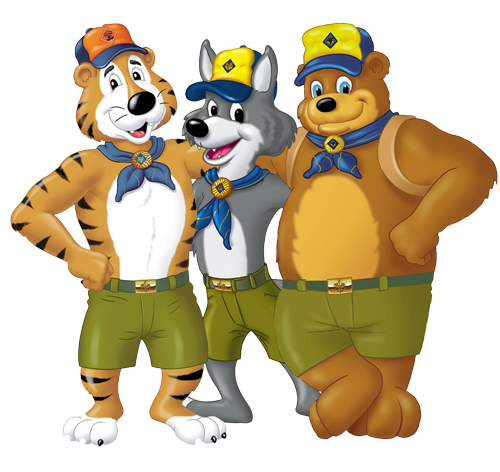 The benefits, for Cub Scout and adult, are discovered through the derby process itself: strengthening bonds, sharing responsibility, developing teamwork, learning new skills, exercising creativity, building sportsmanship, and making new friends. Racing in the Pinewood Derby® creates a bond between a Cub Scout and all those who have raced before, as well as those who will follow to participate in this same tradition. Walk up to any Boy Scout - youth or adult; if he participated in a derby, his memories will resemble those of all other participants in the history of the event. The father of the Pinewood Derby®, Donald Murphy, described his vision for the event to Scouting magazine in 1999: "I wanted to devise a wholesome, constructive activity that would foster a closer father-son relationship and promote craftsmanship and good sportsmanship through competition." As Cub Scouts learn the skill of good sportsmanship, they are better able to recognize and appreciate the new skills they've acquired, to show respect to all those involved, and to experience the fun and excitement of competition. The first Pinewood Derby® was held in 1953 by Cub Scout Pack 280C of Manhattan Beach, California, operated by the North American Aviation Management Club. It was the brainchild of Cubmaster Donald Murphy. The derby, publicized in Boys' Life in October 1954, was an instant and enduring hit. The magazine offered plans for the track and car, which featured "four wheels, four nails, and three blocks of wood." The rules of the very first race stated: "The Derby is run in heats - two to four cars starting by gravity from a standstill on a track and run down a ramp to a finish line unaided. The track is an inclined ramp with wood strips down the center to guide the cars." The cars still roll that way today. A fast Pinewood Derby® car can reach a speed of nearly 20 miles per hour. Pretty good for a little block of wood! If a Pinewood Derby® car racing down the track was enlarged to the size of a real automobile, it would be speeding at more than 200 miles an hour. That's fast! The first Pinewood Derby® was run in 1953 at the Manhattan Beach Scout House near Los Angeles when Cubmaster Don Murphy introduced the idea to Pack 280C. Over the years, Cub Scouts have built close to 100 million Pinewood Derby® racers. That's a lot of cars! If you lined up all the Pinewood Derby® racecars, bumper-to- bumper, they would reach more than 7,000 miles - far enough to stretch from Charlotte, North Carolina, to the North Pole! If every Pinewood Derby® car made this year took just one run down the track, the combined distance would be from the Earth to the Moon and back. That's out of this world! Reader's Digest magazine included the Pinewood Derby® in its 2006 Best of America list as "a celebrated rite of spring." Way to go, Cub Scouts! No Pinewood Derby® car has ever used a drop of gasoline. Gravity rules! ere.